Going on a luxurious vacation doesn’t mean you have to spend big bucks and leave the country for some exotic destination. There are plenty of places to go right here in America to escape the rat race for a while and indulge your desires to relax and have a great time. The Finger Lakes region should definitely be on your list of places to travel while on vacation. Well, for one thing, its got a worldwide reputation for being blessed with natural beauty in ways that only Mother Nature could create. Many people who love traveling to New York City are also realizing that there’s a whole state to explore beyond the Big Apple, and the Finger Lakes offers some splendid natural views, as well as, local and regional activities to enjoy. The charm of this area is that many places are exactly the opposite of a large metropolitan city. In fact, people come here to get closer to nature and don’t mind stopping and exploring small towns like Skaneateles, which is nestled next to beautiful Skaneateles Lake. Simple living is what you’ll find here, and you can still remain plugged into the world through your mobile devices. But, we recommend unplugging for a little while so you can totally appreciate what upstate living has to offer at one of our Skaneateles luxury vacation rentals. In our neck of the woods, luxury means kicking back in one of the available Skaneateles luxury rentals and walking a few feet to gaze out the window at the lake. Luxury is going out for a romantic stroll by the lake, or in a local park, and rediscovering the passion in your relationship. It’s spending the day in Finger Lakes wine country, touring local wineries and learning a thing or two about the wine making process. There’s nothing like sitting outdoors near the vineyards, sipping award-winning local wines and eating fabulous meals lovingly prepared by local chefs. Luxury is visiting one of the many city and state parks dotting the landscape and walking a nature trail that winds its way around ancient rock formations, picturesque gorges and rushing waterfalls. Just like the locals you can enjoy an afternoon picnic near one of our serene lakes, or in a tree-lined hideaway perfect for sharing intimate moments. Hop on a cruise boat and watch the scenery go by as the boat chugs gently along, or rent a boat and cast a fishing line into the waters. Luxury is also spending the day at a world-famous auto racing track and taking your car for a few laps around the track behind a guide car. Visit a museum, and there are several excellent museums in this area, that bring history to life. Check out the popular glass museum and watch glass artisans create beautiful objects right before your eyes. Evening luxuries include Broadway plays, musicals and concerts by local, national and international artists. Go out to dinner and enjoy fine dining at its best. At the end of the day, you’ll arrive back at your cozy Finger Lakes vacation rental home ready to sleep in a comfortable bed in a real bedroom, thinking about the next day’s activities as you drop off to a sound sleep. Check out Springtime deals on our Finger Lakes luxury vacation rentals today. 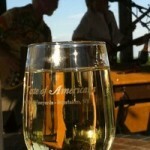 Anyone planning to hang out in the Finger Lakes area of New York in May should consider going on a wine tour. With warm weather and plenty of sunshine you’ll be able to relax and enjoy a stroll through wine country before the busy season hits. Mother’s Day is another fantastic time to take mom, grand mom or that special woman who has nurtured you in some way out for a day she’ll never forget. If you’re looking for places to stay in the Finger Lakes, luxury vacation rentals are a great way to enjoy local hospitality while living in true comfort. On this very special wine tour you’ll meet and learn from some of the areas most respected and talented winemakers, and taste Finger Lakes wines of exquisite quality. German born Johannes Rienhardt shares his passion for wine making as you tour Kemmeter Winery. At FLX Wienery, you’ll chow down on delicious burgers, hot dogs and hand-cut fries paired with craft beers. Next, is the Hermann J. Wiemer Vineyards, a top American producer of Riesling wines, and then make your way to Red Tail Ridge, a world-class winery that has been featured in the New York Times. The tour departs from Geneva on the Lake at 1001 Lochland Rd. (Rte. 14), Geneva, NY and Belhurst Castle, 4069 Westlake Rd., Geneva and goes from 10:30am to 4:30pm. May 9. Spend Mother’s Day cruising down beautiful Canandaigua Lake aboard the Canandaigua Lady, a classy cruise boat with upper and lower decks. Buy an adult ticket and mom rides for free! Narrated cruise times are: 10:30am-12:00pm, 12:00pm-2:00pm, 2:30pm-4:00pm. Kids 2 years and younger ride free. For ticket information call: 585-396-7350. May 10. Ever wonder what is was like to live in a 19th century country village? You can find out by visiting the Genesee Country Village and Museum. The village is celebrating mothers with activities that highlight a mother’s special role in family and village life. Adults: $20, Kids: $12, Moms: Free. Open from 10:00am to 4:00pm. May 10. Many families look forward to celebrating with mom at this annual event, and this year is no exception! Buffet items include: bacon, sausage, omelets, home fries, glazed ham, grilled chicken, Beef with Au Jus, side dishes galore and yummy desserts. Adults: $19, Kids 5-12: $9.95 and Kids 2-4: $3.95. Reservations recommended. Call 607-734-0402. May 10. Scenic views and fresh country air are part of the brunch experience at Ventosa Vineyards. Treat the special woman in your life to a marvelous brunch featuring: homemade soups, salads, a breakfast station, omelet station, meat stations, plenty of sides and decadent desserts. Adults: $26.95, Kids 5-12: $13.95. Reservations required. Call 315-719-0000. May 10 and finish your weekend off with a stay at one of our Skaneateles luxury vacation rentals. Uncork mom’s inner artist while sipping fine wine at Treleaven by King Ferry Winery. The whole family is welcome to participate in this unique art experience. Receive a blank canvas, art materials and instructions to paint your own masterpiece! Register at 12:00pm and start creating at 1:00pm. Or, skip the art class and come for live music from 1pm-4pm. Brunch served from 11:00am until all the food is gone. Get 10% off your first wine bottle with each painting class ticket, and moms get an additional 10% off a glass of wine. Visit winedesign.com/Ithaca. Ticket information at 315-364-5100 or marketing@treleavenwines.com. May 10. Hurry and book a Finger Lakes vacation rental for Mother’s Day or for any fun-filled days in May.